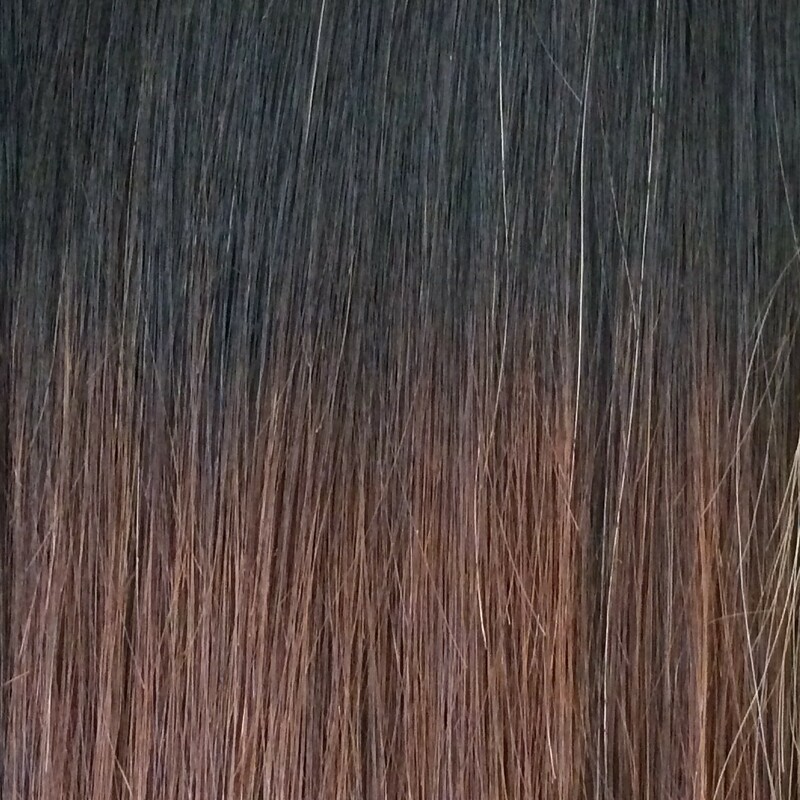 This full head set of Ombre hair extensions in colour #1B/4 is made from 100% Remy Human Hair. 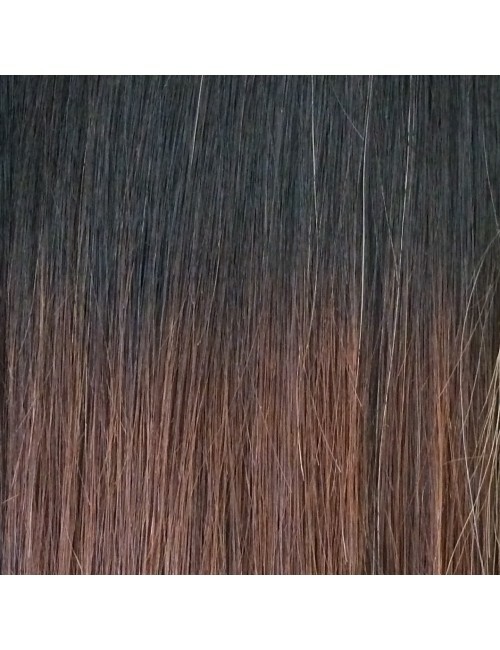 Add 20 inches of length to your natural hair with our 230gram double drawn, and double wefted human clip in extensions. It is Off Black (Natural Black) fading to a Natural Dark Brown.